Some moving tips are obvious, like what to keep vs. what to donate, and to stock up on empty boxes. But other moving tips can get lost in the shuffle, especially those relating to utilities, like gas and electric. If you live in a house or apartment, they might be included in your rent. When you move though, you have to notify the gas and electric companies so they stop billing your services. You also need to call to have the services connected or activated for your new home. When it comes to your Internet service, a good moving tip is to call your provider and see if you can transfer your service. Moving houses is a big deal. You have to get used to your new home, your neighborhood, and learn new routes to work, school, the gym, the grocery store, even the post office. With so much to do, you can scratch waiting for Internet service off your to-do list when moving to a new house because Frontier makes it easy to take your service with you. If you’re moving from a High-Speed Internet area or a FiOS® by Frontier® area, simply call us so we can verify service availability in your new area. And when you move, you may be able to take your Frontier equipment with you. Call to move your service with you! Moving into a new apartment probably means access to a gym, grilling stations, and even a pool. Sometimes, other amenities such as utilities and Internet are included as well, so you don’t have to spend time comparing providers, and can get connected right away. Frontier partners with apartment complexes to provide Internet, TV, and phone services to residents. When you move into an apartment complex with Frontier services, you may be eligible for discounts. In other words, you’ll get the same fast, reliable Internet you expect, for less. Moving into a new apartment that doesn’t have Internet already? No problem! Frontier has discounts on Internet, TV, and phone for new subscribers, too. Give us a call, and we’ll set you up. Call us to learn what discounts are available to you. Congratulations! You’ve done it. You’ve found a new home, signed a contract, paid a down payment or first month’s rent, and are all set to move. Now comes the hard part: packing. Or, more specifically, coordinating all the parts that need to happen when you move. We at Frontier have been helping our customers move their services for many years, and have put together a moving checklist to help you keep track of all those parts. Take inventory of furniture and large items in each room--the bed frames, dressers, entertainment centers, bookcases, couches, and chairs you are going to move to your new house or apartment. Doing so now will make it easier to get an accurate bid from moving companies. If you live in a house and are moving to a new house, take inventory of any large appliances you are taking with you, such as fridges, extra freezers, washers, and dryers. Sort clothes, books, games, kitchen items, canned goods, pantry items, etc. into two piles: one to keep and one to donate or sell. If possible, estimate the number of boxes you think you’ll need. Start saving boxes from Amazon deliveries, trips to the liquor store, etc. Research licensed moving companies, and contact at least three movie companies for estimates. Make a list of accounts that require a change-of-address, like magazine subscriptions, credit cards, banking and investment institutions, insurance, cell phone carriers, etc. Create a moving folder so you have a central place for all your moving-related documents, like your list of accounts that require an address change, important phone numbers, your homeowner’s insurance policy, packing lists, contact information for the moving company, etc. Your folder can be physical or online. Donate or sell items you’re not taking with you. Scavenge or purchase moving boxes. If you live in an apartment complex with a lot of people moving in and out, that’s a good place to start. Purchase packing tape, bubble wrap for valuables, packing labels, and permanent markers. Start packing! Keep a running inventory list of what types of items are in each box, and label each box appropriately. Pack non-essentials first, like extra towels and sheets, books, and other items you don’t use every day. If you have kids, contact both their current and future schools to find out how to transfer records. Refer to your address-change and update your accounts so by the time you get to your new home or apartment, the changes will have taken effect. Fill out the Change of Address form on the United States Postal Service website. Call your ISP to transfer or cancel your service. Contact your gas and electric companies to cancel service or stop service. 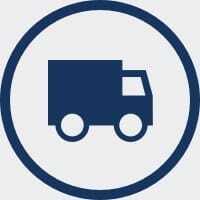 Confirm date and time of arrival with the moving company. If you live in an apartment building with elevator service, confirm you have use of the freight elevator during your move. Pack! Valuables, kitchen items, gaming consoles, TVs, clothes, prescriptions, and other bathroom items, etc. Pack a suitcase for yourself, including the prescriptions you’ll need, clothes for work, the gym, or what you think you’ll need until the moving company arrives for delivery at your new house. If you have a family, have each family member pack a suitcase, too. The day before the movers arrive, defrost your fridge and/or freezer and store perishable items in coolers that you are taking with you. The day before the movers arrive, disconnect electronics and keep cords with appropriate devices. The day before the movers arrive, make sure you have cash to tip the movers. The day before the movers arrive, load your car with your suitcase and any items or boxes you will need immediately. On Moving Day, greet the movers and make sure everything is order. On Moving Day, take one last look at your apartment or house. On Moving Day, it’s time to start your next adventure!